Following on from the September announcement of a Super Smash Bros. club for Canada, Nintendo has today revealed fans in Australia and New Zealand will soon be able to experience their very own Super Smash Club. Nintendo Australia delivered the news earlier via its Facebook and Twitter page. The club promises to offer Aussie and Kiwi fans of Super Smash Bros. a new way to play and connect. Participants will be able to create a local club of 10 or more players, and compete in their very own local multiplayer club tournament, where they could win prizes including Super Smash Bros. for Wii U, and amiibo figurines such as Mario and Pikachu. According to Nintendo, there’ll be a limit of 50 clubs, with more details about Super Smash Club coming soon. So if you live in either Australia or New Zealand, get smashing, and let us know in the comments if you would be interested in taking part in the action. That's great where are events held? @Farpun In Australia and New Zealand. @Prof_Clayton ask a stupid question and recieve a stupid answer haha I just dont understand how you would create/join a club and how members would interact sorry for being naive but I've never been a member of something like that. We have a pretty big community here, so I'm expecting to hear more about this tomorrow. 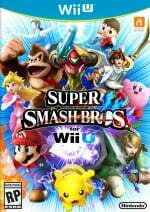 I hope you guys enjoy Super Smash Club at Australia and New Zealand. I know I had a fun time at Super Smash Club, and there'll also be a second meet up around November for Canada. Hey Nintendo, WHY NO SCANDINAVIA LOVE?